As you can tell by the title, today is going to another installment of Craft Guide! Now for those of you who may be new to the blog, Craft Guide is a series of in-depth posts designed to give you more information about a certain crafting topics. These posts are great for beginning crafters who are looking to understand a craft topic (like jewelry making) better. Today I thought we could get back to basics and just talk about craft tools! When considering all of the crafting tools at your disposal, figuring out what you really need can be a bit daunting. 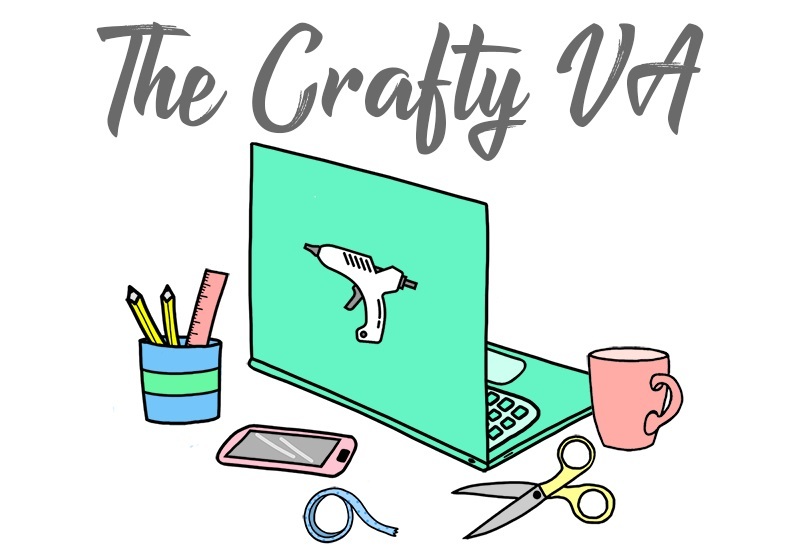 So today I will be sharing with you the 12 basic tools that I think every beginning crafter needs to have in their craft tool box. I really want you guys to look at this list as your ''meat and potatoes'' in terms of craft tools. These particular tools will be with you through all your different phases of crafting, whether you are doing macramé or scrapbooking! With that little intro done, let's learn about some craft tools! 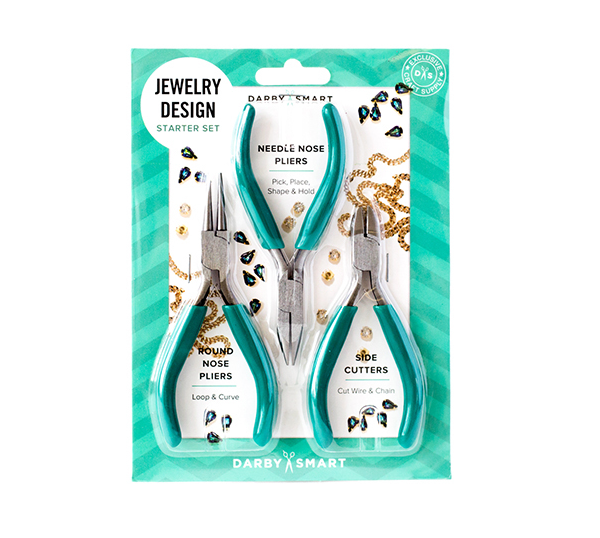 Set Of Pliers: Having a set of pliers can help you in many different areas of crafting. Usually, when purchasing a set of pliers, you will receive a pair of round nose pliers, needles nose pliers, and wire cutters. Each of these tools is designed for a specific purpose but can make any beginning crafter's life much easier. For example, these tools could be used for wire cutting, jewelry making or even taking the cap off a stubborn glue bottle. Craft Knife: Over the years, my craft knife as become my crafty best friend! Don't get me wrong scissors are important, but a craft knife can sometimes be more useful than your best pair of scissors. Why do you ask? Well, a craft knife can allow you to make those small intricate cuts which you can't get with scissors. Also, it can be used in variety of other projects like making cards or carving stamps. Craft Tweezers: Did you know that there were tweezers especially designed for us crafters? Well, they exist and should definitely be in every beginner's craft tool box. The particular tweezers that I featured (above) are like most tweezers designed for crafters. They have a non-stick grip coating and a precise tip, which is perfect when working with smaller items. These smaller items could be gems, beads, findings and other small embellishments. Craft Mat: Craft mats (like most things in the craft world) come in many different styles. For example, you have self-healing craft mats, regular craft mats (not designed for cutting) and silicone craft mats. Having a craft mat is important because it allows you to protect your work surface while still being messy creative. Hole Punch: A hole punch doesn't sound too exciting but it is an important craft tool! 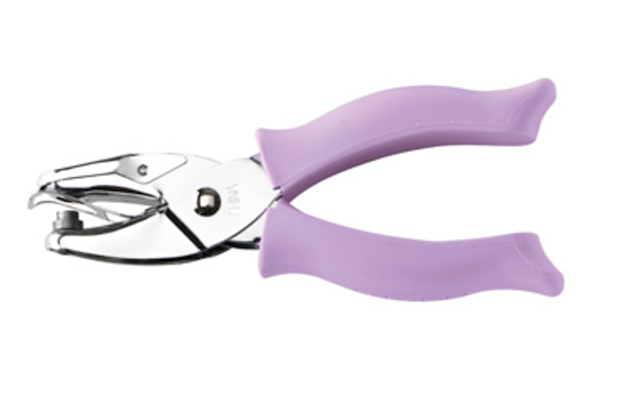 Having a normal round hole punch can help you make tons of awesome craft projects. For example, you could use your round hole punch to make a garland, confetti or a picture book. Paint Brushes: Paint brushes are a must in your a new crafter! Personally, I would recommend getting a set of normal paint brushes (like flat bristles brushes) and a set of foam brushes. This is because you can use your normal paint brushes for everyday painting but use your foam brushes for those project which involve glues (like Mod Podge). That way you are not ruining your normal brushes and can throw away the foam brushes. Scissors: This is really a no-brainer but having a good pair of sharp scissors is important for every new crafter! Paper Cutter: This is probably, the most expense craft tool on this list. However, I think having a small paper cutter is great for a beginning crafter because they can use it in a variety of craft projects. This tool is especially helpful if you are a beginning crafter that is into card making, scrapbooking or album making. 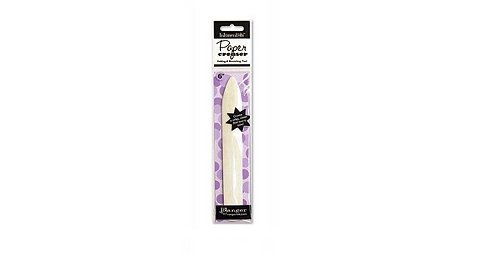 Much like craft mats, paper cutters come in all shapes, sizes, and prices. 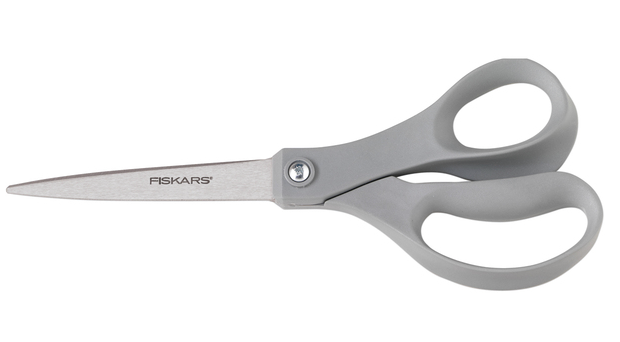 The one I featured today is under $15.00 dollars, can cut up to 5 pieces of paper at once and is made by Fiskars (which is the leading maker in scissors). There are many affordable options out there, so I would recommend looking at your paper cutter as an investment piece and do your research before buying. Ruler: A ruler is another tool which seems to get lost in the sea of craft supplies. So make sure you have a good 12-inch ruler to help you in all your crafty projects! Bone Folder: A bone folder could be seen as important to some folks but not to others. I included it because it's a basic crafter's tool which has become really popular in today's DIY projects. The tool itself is also an inexpensive craft tool (depending on what brand you buy) and can help you in a lot of your projects. For example, card making, bookbinding or even origami. Pencil Sharpener: This is probably the most underrated and forgotten about tool in the craft universe! Having a sharpener (or a couple of sharpeners) should be mandatory if you are a crafter (lol). This is because a sharpener can come in handy whether your drawing, coloring or just sketching an idea for your next project. 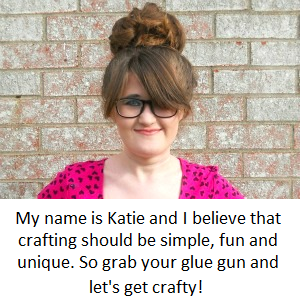 Hot Glue Gun: As we all know, the hot glue gun is the most important tool in your craft box! It can be used in a variety of projects, is quick to dry and creates a very strong bond. There are also different types of glue sticks available which can give a new crafter more room to experiment but for cheap. Ok, after reading that last paragraph again, I sound a little bias (lol). 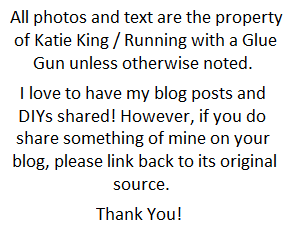 However, a hot glue gun is still important to have! 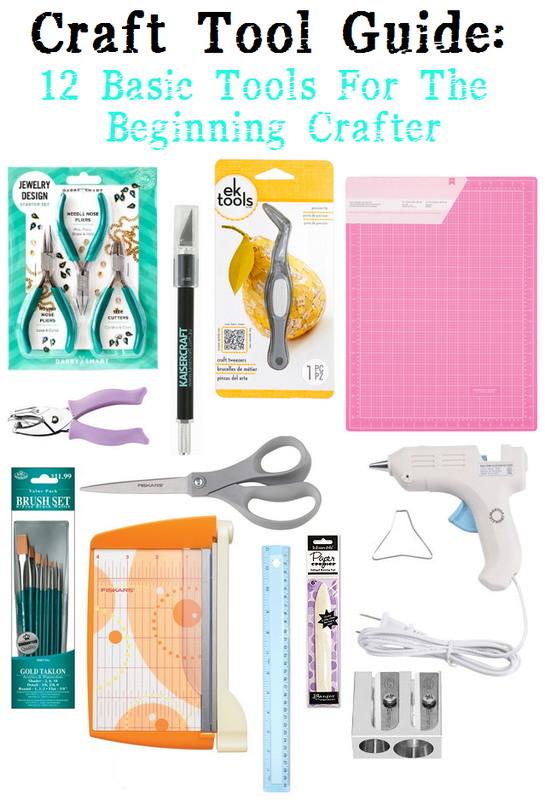 So folks, there you have my 12 basic tools for the beginning crafter! I tried to provide a variety of inexpensive but important tools, which could be used in multiple areas of crafting. Also if you are new to crafting and are reading this list, let me be the first to say, welcome to the DIY community! What craft tool do you think needs to be in every beginners' tool box? Good Evening, I just wanted to let you know that I loved this list. You see I have just started my crafting adventure and used your list. Working on many projects and a lot of the items came in handy; yet the glue gun is my go to for adhesive. Thanks you and happy crafting.